It's an amazing feeling to get to work with such a talented and passionate group of musicians, actors, and singers every day." Our instrumental programs are a shining example of the amazing level of musical proficiency that our students can attain. We offer band, jazz band, orchestra, and strings and wind ensembles at varying levels from beginner to advanced as academic courses. Our musicians are introduced to varying styles of music as well as music history and theory, leading to the AP Music Theory class. While many students choose to buy or rent their instruments, we do have numerous classroom instruments that beginning students can borrow. There are multiple musical options to help you discover your muse throughout middle and upper school, including band, orchestra, and choir. We offer specialized music classes in subjects such as piano, percussion, strings, and woodwinds. Trinity Prep's Vocal Society (VoSo) performs throughout Orlando. In addition, master classes feature well-known vocalists from different genres. Recently, visiting artists included operatic tenors Ben Gulley and Fernando Varela; singers from the a capella group Toxic Audio; and the Broadway singer and X-Factor star, Rachel Potter. In the past, our vocal groups have been honored to sing with Ben Gulley at the Bob Carr Performing Arts Center and at the Clermont Vespers. 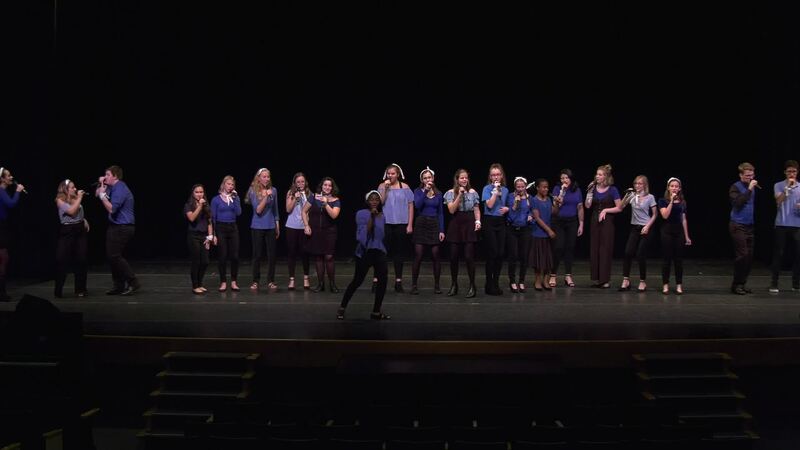 VoSo competes in the renown ICHSA competition, performing as quarterfinalists in both 2018 and 2019. In 2019, VoSo was chosen as semifinalists, placing TPS as of the top eight a cappella high school groups in the south. Dec. 7 at 7 p.m.
(Freitag & Falk Theater) Dec. 8 at 7 p.m.
Choral Concert (Auditorium) Dec. 14 at 7:30 p.m.
Vocal Society at EPCOT | Walt Disney World Dec. 15 & 21 at 6:45 & 8:15 p.m.
Mar. 12 at 7 p.m.
Mar. 13 at 7 p.m.
Jazz & Percussion Concert (Freitag & Falk Theater) May 11 at 7 p.m.